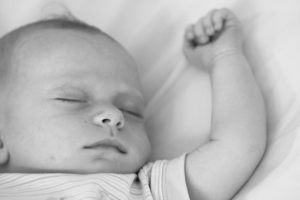 The state’s current rate is 12.42 live births per 1,000 people, according to a report released Monday by the California Department of Finance. The rate is down from 13.69 per 1,000 people, which it was at the time of the 2010 census. Previously, California’s record low rate was from 1933. That year, the state had a rate of 12.6 live births per 1,000. At the time, unemployment was soaring, personal finances were collapsing and millions of people were standing in food lines. Walter Schwarm, of the Department of Finance’s demographics unit, said a shift in education and workplace trends appears to be responsible for the latest decline in birth rates. “The going theory is that as college becomes more important we have a larger number of individuals going to college than ever before,” Schwarm said. The increased levels of college attendance delay child bearing, Schwarm said. Thus, many first-time parents are in their 30s, he said. While the birth rate has fallen, California’s death rate has increased as Baby Boomers have aged. The state death rate rose to 6.71 per 1,000 people in 2015-2016, up from 6.26 per 1,000 during the 2010 census. However, California’s population is continuing to rise, largely because of immigration. In 2015-2016, California had a net migration of 70,000 people. According to the latest figures, the state’s population is 39.4 million. It rose by 295,000 from July 1, 2015 to July 1, 2016. Wow! What a coincidence… the water levels in our reservoirs has also fallen! An arrogant, despotic, demented punk has gotten the fools and asses of this country to put him in immediate charge. Anger has deposed conscience and logic. The future of this planet is in immediate danger on many fronts. What sane person would want to bring a new being into this mess? Who can afford to procreate these days? Daycare is like $1000 a month if you are middle class. If you don’t own a home, good luck with housing. There aren’t a lot of rentals even available, and those that ARE available are expensive. $2600 for a basic 3 bedroom house in AG. Oh look! $950 for a cottage at the base of Cuesta Grade. Oops, never mind, it is only for one person…..
Here’s an “affordable” 2BR townhome in SLO, just $1800/month..
I’m not being sarcastic about this, but between rent, daycare, insurance, daily living, how can people really do it? They do with less, and practice this mantra: take less and give more, and do it quietly. The rich don’t feel it; the poor don’t pay it. The question is how can the middle class really do it? Move to a less expensive area I had to work and save a long time to live here it is not an entitlement. Even if people move away from the central coast (and they ARE), the problem in the Central Valley right now is jobs. Oilfield workers have been laid off. You go to trade school to be a phlebotomist for example, but then you need to compete for one job agains 20 people. Then there is the “bilingual” thing. In many parts of CA, it is now a requirement to be bilingual. So, while the rent is cheap, the jobs are not always available. Many employers are not hiring more than 32 hours a week so they don’t have to provide insurance. Well, we certainly have no real “bead” on politics so perhaps the best that California can do for the USA is to not proliferate.